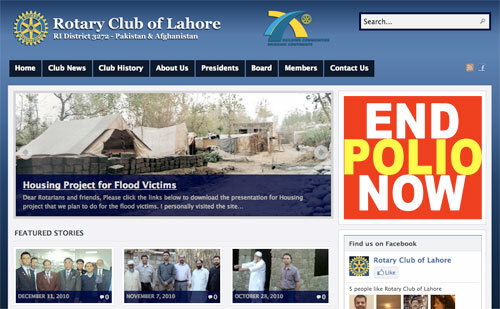 Sign In Tech has delivered the official website of Rotary Club of Lahore. Sign In Tech has been working closely with the non-profit sector and particularly for the world famous organisation, Rotary International. Rotary is the world’s largest volunteer organisation, boasting over 1.2million members worldwide. Rotary Club of Lahore is the second oldest Rotary Club in the India-Pakistan subcontinent. The Sign In Group website is undergoing a total make-over. This time around, its not just rewriting of the pages, or addition of some page, but the entire website has been wiped clean and redone. We are not yet done playing with it, but then, with our beloved new CMS, I doubt we will ever stop redoing, renewing, and revamping it! For sometime, though, you can access our previous version here.